Don’t let cold weather or a crowded schedule keep you from working out in the winter. Although it may seem easier to exercise during other seasons it may actually be more important to work up a sweat in the winter. Why? Well, to start, shorter, darker days can contribute to sadness or even exacerbate depression. Regular, moderate exercise is a good antidote to the winter blues. Also, the winter months are often filled with opportunities to overindulge. 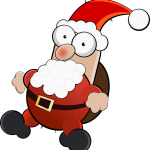 Maintaining your workout schedule can help you keep extra pounds at bay so you look and feel your best at holiday gatherings and even into the New Year. 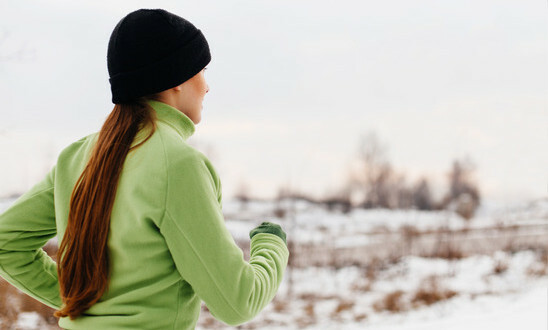 Colder days can make the couch feel cozier, so the idea of getting out for exercise in the winter can be tough. 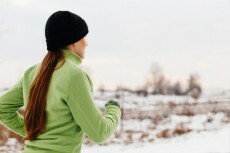 The bottom line – you may have to work a little harder to get your workout in in winter. The following tips can help. 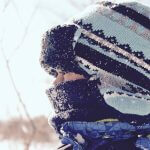 Dress warmly for winter workouts but don’t overdo it. The best strategy is to dress in layers. Be sure the shirt closest to your body is made of breathable or technical fabric. 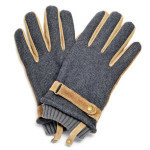 You may also want to invest in a hat, gloves and a weatherproof jacket for protection against wind, rain and snow. Keep spare clothing handy so you can remove any wet gear (especially socks) immediately. Because days are shorter you may find yourself working out in the dark. Protect yourself by wearing reflective clothing. Move against traffic so that oncoming cars don’t catch you unaware and travel with an exercise buddy if possible. If pairing isn’t possible leave detailed instructions with someone about where you are going and your expected time of return. Don’t forget sunscreen. Even though it is colder your skin still needs protection. A final tip – watch out for black ice; it poses just as much risk for bikers, runners and walkers as it does for drivers. Indoor workouts can be especially appealing during the winter months. Not only will you stay warm you will benefit from the camaraderie of gym mates who also ignored the siren call of the couch. Alternatively, you can pull out your favorite workout videos. Winter workouts are more likely to happen when they are fueled by the fire of commitment. Remind yourself of why exercise is important to you. When you feel your commitment waning, visualize the anticipated benefits of working out. Winter workouts don’t have to be painful. In fact, with a little planning they can be fun. Just remember to consider time (safety in the dark), temperature (weather appropriate gear), and commitment (when the reason you exercise is compelling enough, the how of working out feels easier). Add to those a little flexibility (workout at home or the gym if the weather seems especially brutal) and you have everything you need to keep your winter workouts on track.